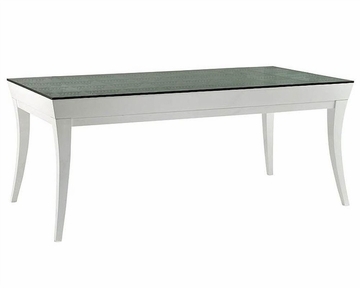 Roberta Transitional White Lacquer Dining Table 44D8TF002. This dining table features unique transitional and modern furniture. Made of high quality materials and feature a very unique design. 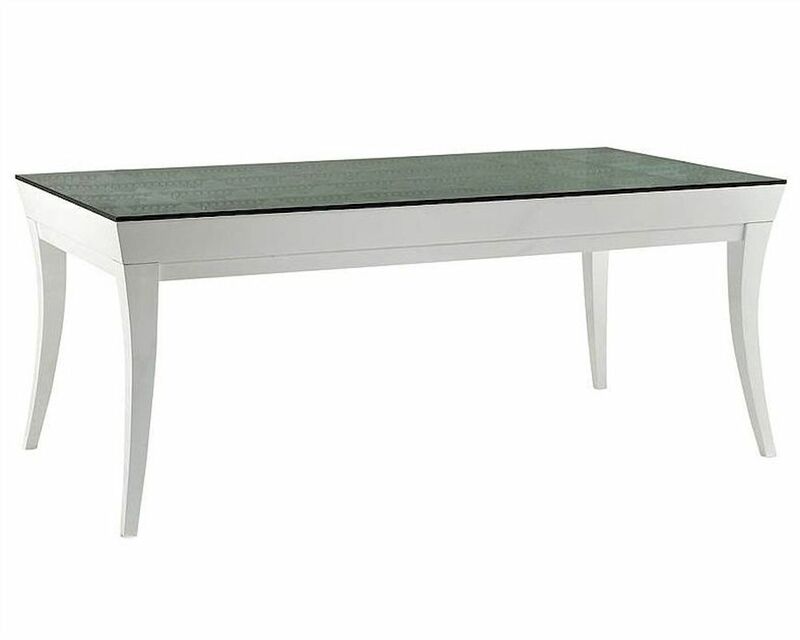 1 x Dining Table 44D8TF002. Dining Table - 73"W x 38"D x 29.5"H.
Constructed of solid birch and MDF. 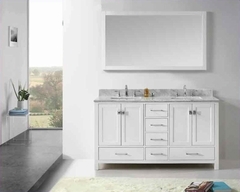 Piano white gloss finish .